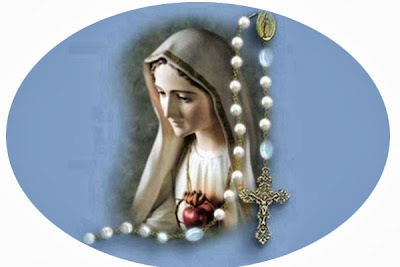 O ctober is the month dedicated to the Rosary because the feast day of Our Lady of the Holy Rosary is tomorrow, the 7th. It is also the month dedicated to the protection of all human life. The Church is the Body of Christ whose mission is to help and defend the poor, the weak, the sick and the helpless. The many causes which the Church takes up are human rights issues, and defending the unborn is no exception. We know that once conception occurs we have a human being. We have an individual separate from the person of the mother even though that unborn baby is dependent upon the mother. Through ultrasound technology we also know that the baby, who is about to be aborted, will try to get away from the instruments that will pull him or her apart. Its hard to believe that a society, which can have so much compassion on sick and troubled people, does not extend the same compassion on the most defenseless. Perhaps more education is needed. Certainly, more prayer is needed for the unborn and for their mothers who are in need of help. It was through the Rosary that Europe was saved from the invading Turks in the 16th century. It is a powerful prayer. Through it we get closer to our Lord, and we have the effective intercession of our Lady. May we make the Rosary a part of each day. Also, may we have as one of our intentions the protection of all human beings from the moment of conception to the moment of natural death. Every fourth Monday of the month after the 7:00 PM Novena, we pray the Pro-life Rosary. Perhaps, you will find time to join us. So, October is the month when we are reminded about the value of praying the Rosary throughout the year. It is the month also when we are asked to remember our brothers and sisters who are not yet born. May we pray daily for their protection and health.